The Xbox One Elite Controller is undoubtedly the finest game pad ever built. Hold Microsoft’s luxury peripheral in your hands for the briefest moment and you’d find it hard to argue against. 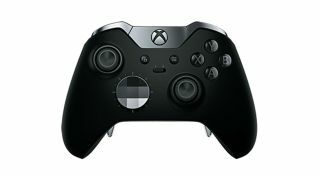 The Elite pad carries a premium price tag of RRP $149.99 / £119.99, but check out our guide to picking up an Xbox One controller cheap, which is updated with the latest deals. Finely crafted and more customisable than any first-party pad in history, it’s the essential accessory for Xbox gamers. With changeable sticks, D-pads, and triggers you can tweak to your preference, there is no greater weapon in the hands of an aspiring PUBG or Call Of Duty: Black Ops 4 champ than this. Even if you’re not a competitive eSports wannabe, the Elite Controller has enough adjustable parameters to make any game more enjoyable. Thanks to the Xbox Accessories app, Microsoft’s top peripheral is as diverse as can be. Not only can you reassign any button with a replacement of your choice, you can tweak the strength of the controller’s four rumble sensors. Even more impressive? If you’re an FPS obsessive, tinker with the dead zones of both analogue sticks to improve your headshot prowess. With saveable presets and other granular tweaks, the Elite Controller is downright essential. The Xbox Accessories app (available to download on Xbox and PC) is the key to unlocking the potential of your shiny new pad. With it, you can remap every button on your controller and set presets for your favourite games. Perhaps you feel encouraging your horse to ride in Red Dead Redemption 2 with a stab of the A button feels too flat? Then reassign the A button to a trigger and relish in the more visceral riding experience. You can even name presets for specific games. Certain titles like to defy traditional controller convention for little reason. Example? If you’re an Xbox Game Pass user, download BioShock Infinite and say with a straight face that pressing down on the right stick for iron sights doesn’t feel all kinds of unnatural. The beauty of the Elite is that you can reconfigure the baffling choices of developers thanks to the controller’s remapping functions. The Elite comes with four luxuriously designed metal paddles that can be attached to the back of the pad. You can assign these optional extras to any button you wish. Want a quicker way to shoot players in Fortnite? Then make the snappier P1 paddle a substitute for the left trigger. Instant and responsive, these optional buttons can give you the quick-handed advantage in the tensest of deathmatches. Both of the Elite Controller’s triggers can be tweaked to your exact specification. The dead zone of the most important parts of your pad can be precisely tweaked to match your needs. If you’re finding pulling off headshots in Battlefield 5 to be a little unresponsive, make your triggers that bit more sensitive with the Xbox Accessories app’s Triggers tabs. More accurate kills await for the observant, pad-tweaking player. You can easily create custom control profiles, then instantly switch to them by assigning them a slot. Swap between profiles in a flash by flicking the profile button on the centre of the Elite Controller. There are also a number of community profiles you can download for specific games, like the Conjure Weapon preset for Final Fantasy 15 that lets you switch out weapons without taking your finger off the stick. Both the Elite’s analogue sticks and D-pad can be swapped out for alternatives. The default sticks can be switched with a longer variant or a stubbier one with a circular head. The funky faceted D-pad also has more pressure points which are ideal for pulling off combos in beat-‘em-ups. And if you play a lot of shooters, experiment with the hair-trigger locks on the back of the controller for faster headshots.